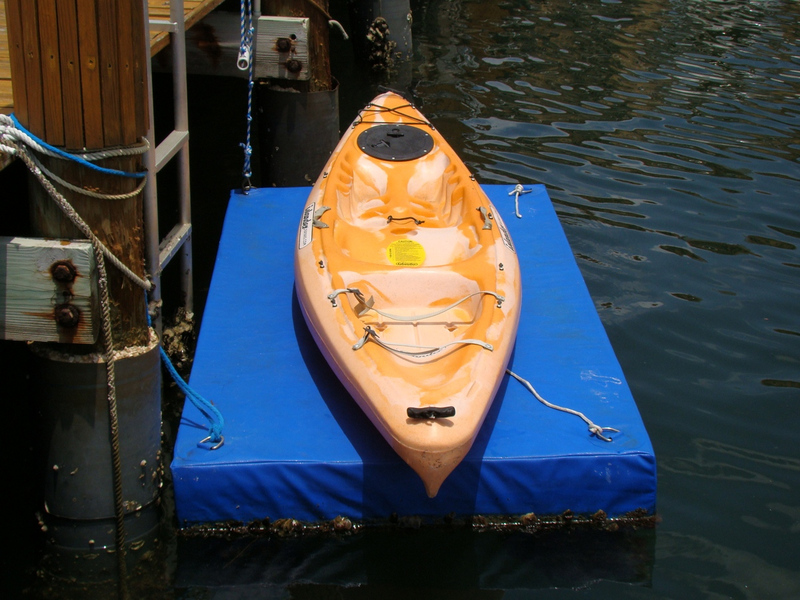 Floating Dock For Kayak, Canoe, Inflatable Boat or Small Watercraft. 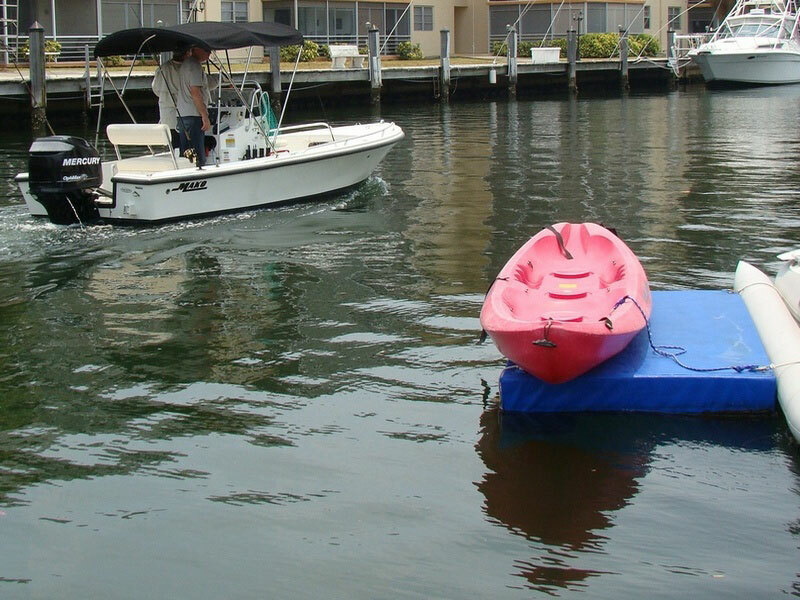 Styrofoam dock for small watercrafts. 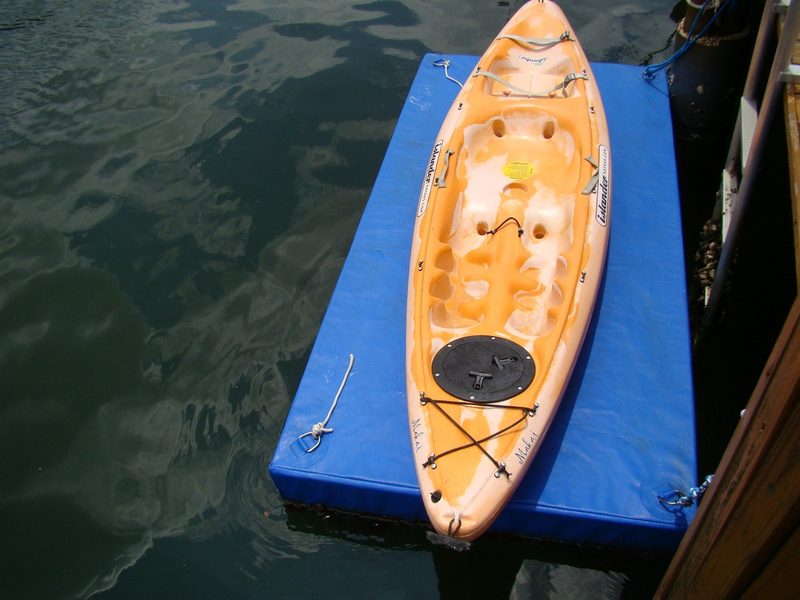 Easily park your kayak, canoe, dinghy, KaBoat or small dinghy on a water. 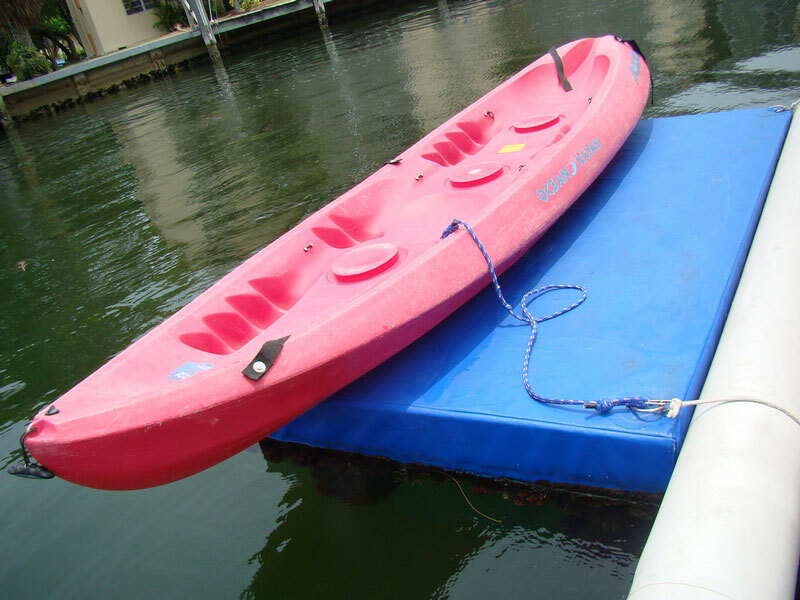 This is a new product we have invented with a purpose to provide affordable docking solution for owners of kayaks, canoes, KaBoats, small inflatable boats and other small and light watercrafts, as well as work float platform. 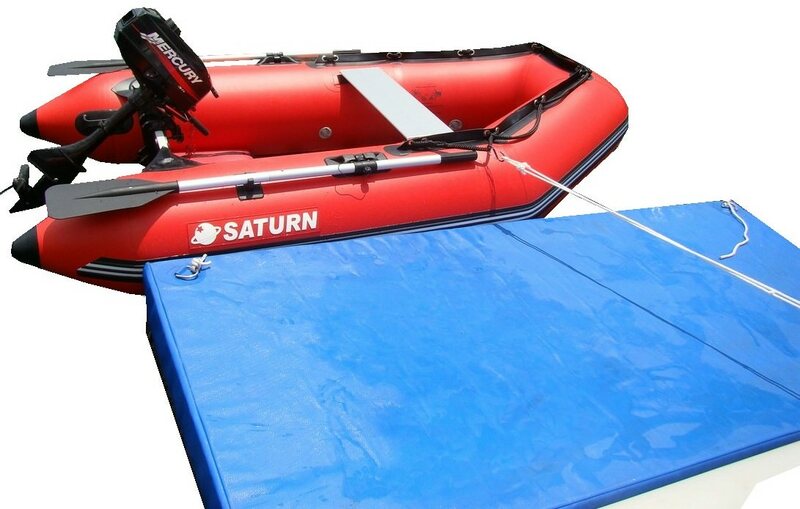 Docking platform is provided in a form of heavy-duty outer shell container 8'x4'x8" made of tarpaulin PVC material. 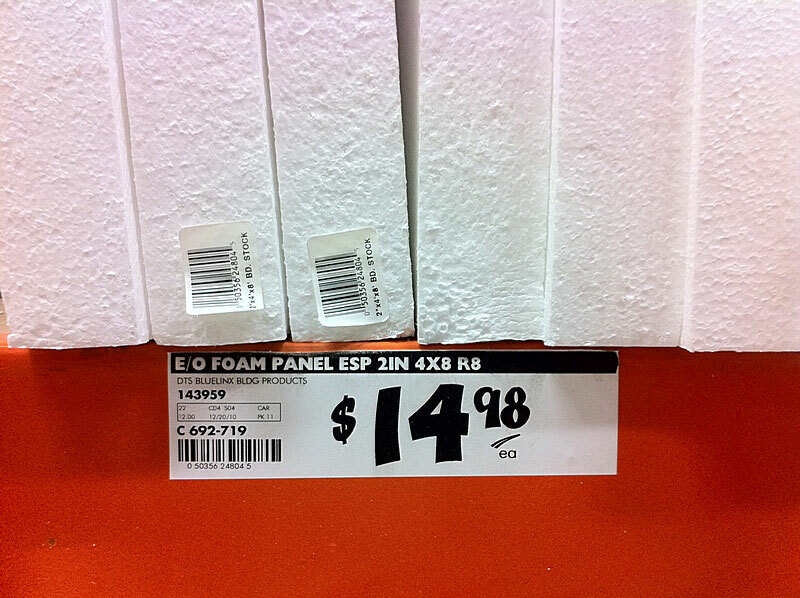 Customer can fill out this container with 4 (four) panels of Styrofoam or any other foam insulations sheets that are sold in many hardware stores, such as Home Depot or Loews. 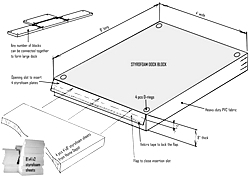 Outer shell has long and narrow opening to insert 8'x4'x2" foam panels one by one, and then securely lock it with Velcro. 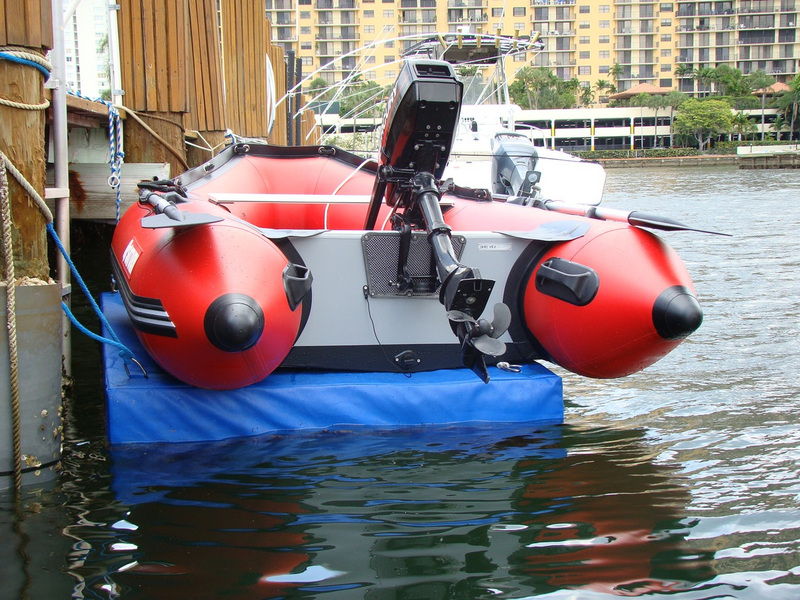 Each dock comes with 4 D-rings installed at its edges, that can be used to secure watercraft to the dock, secure dock to anchor or stationary object, or to join several docking platforms together to form larger size docks. 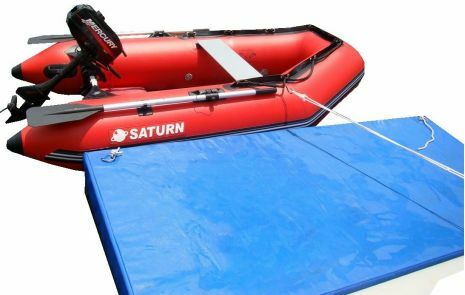 For example, 1 dock will provide enough support for 1-person kayak or canoe or up to 9' long inflatable boat or 15' KaBoat. 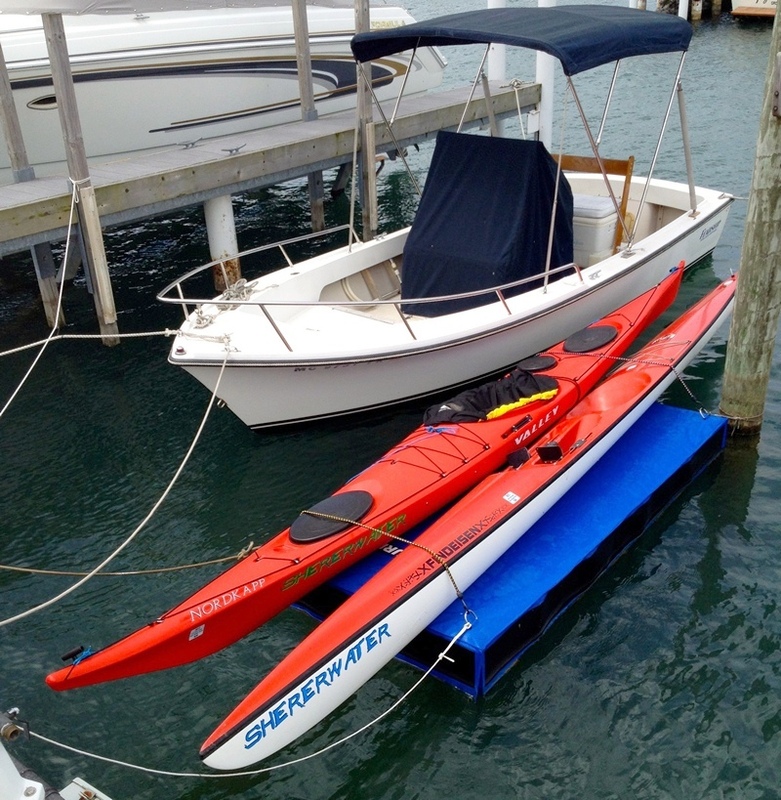 For longer boats and larger kayaks, customers might use 2 docks joined together via D-rings and rope. You can add as many dock platforms as you need. 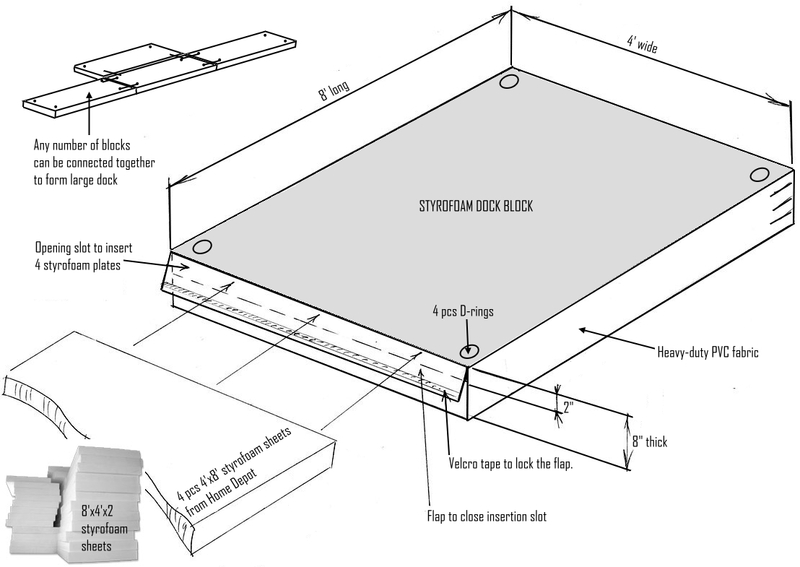 Docking platform with 4 Styrofoam sheet inside is rigid enough for small watercrafts. Additional plywood layer can be bolted through foam layers to make this dock suitable for heavier Jet Ski. Rollers, caster wheels and even trailer winch can be bolted on top of heavy-duty plywood to make pulling easier. Original idea of that platform was to provide cheap and disposable docking for one season, so that at the end of Summer customer can remove Styrofoam from dock and dispose it until next season. However, after we tested this platform for almost 2 years in a salty water, under damaging Florida sun, it is apparent that platform is really heavy-duty contraption, and can withstand at least several years of continues use. 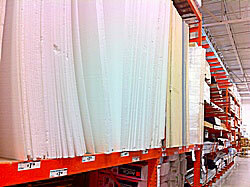 8'x4'x2" foam panels are available in local hardware stores. Prices between $10 to $15. 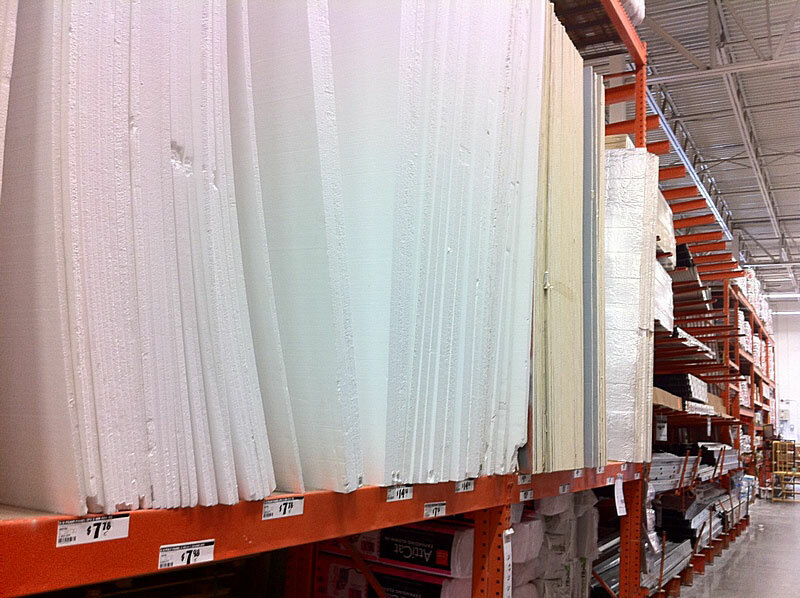 36 x 23 x 6"
Foam panels are NOT included, but available at Home Depot or Lowes. Please note: Technical specifications are subject to change without notice. 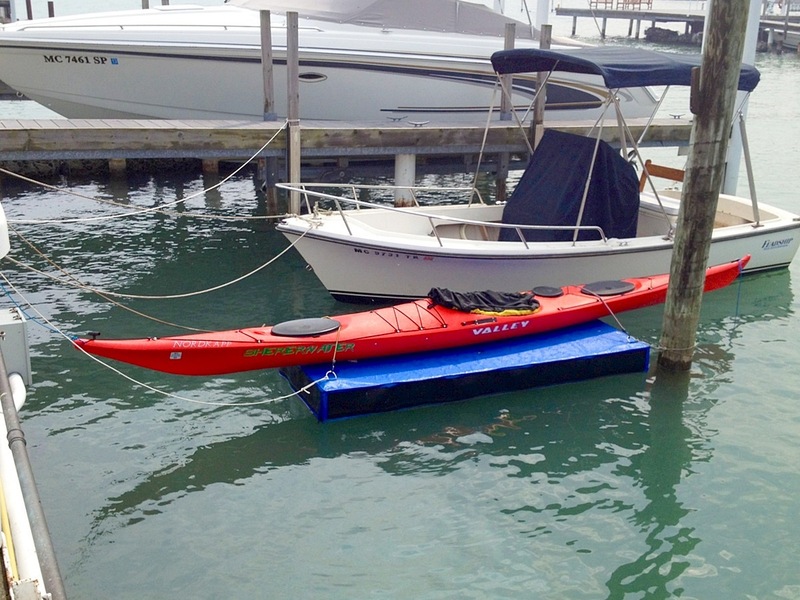 I bought one of these floating docks almost two years ago to use with my kayak. It has been in salt water ever since, with the exception of about a month when I took it out to clean it and remove barnacles. The dock looks and works the same as the day I put it in the water. This product is a winner! Super easy and convenient. 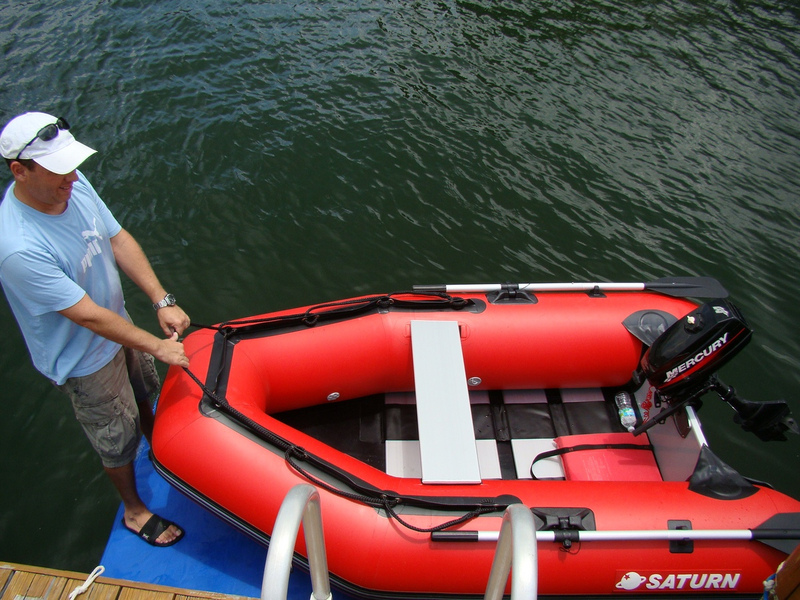 I have a 5 person alum bottom rib dinghy with a 10 HP 4-stroke motor. 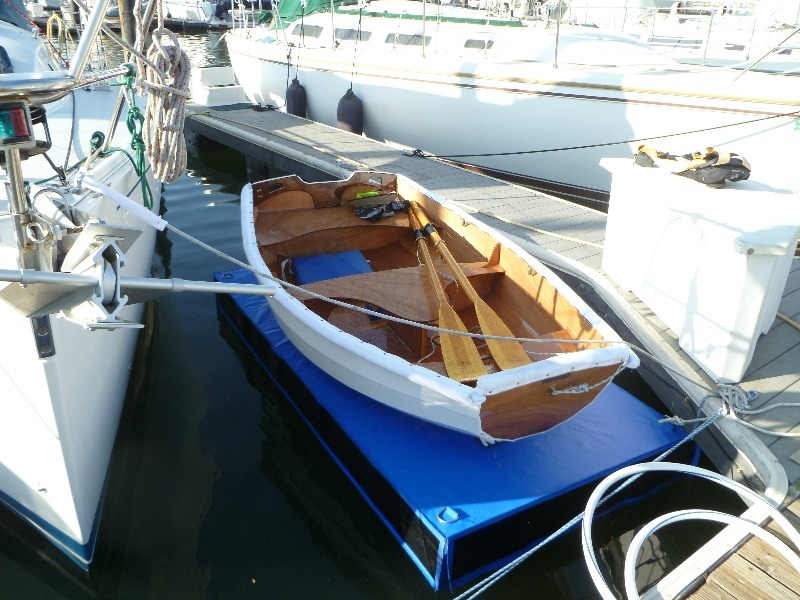 I can stand on the float, lift the bow of the dinghy chest height, back up, and it's more than halfway on the float. Then I just drag it the rest of the way on. Easy to launch also. No more bottom cleaning, no more corrosion. I purchased (2) 4x8 shells and filled each of them with (4) 2" x 4" x 8" sheets of Polyurethane, which are very dense and will not hold water. 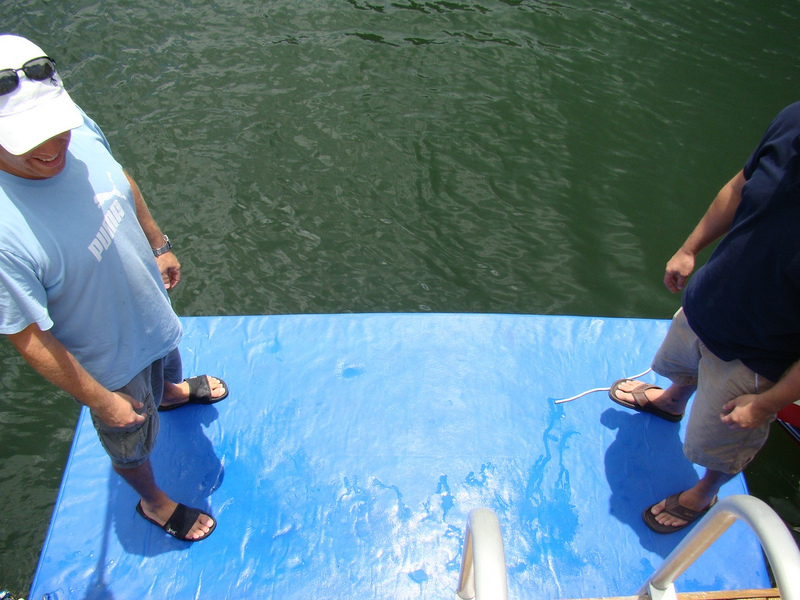 I then used steel cable to hook the two together to make (1) 8' x 8' floating dock. 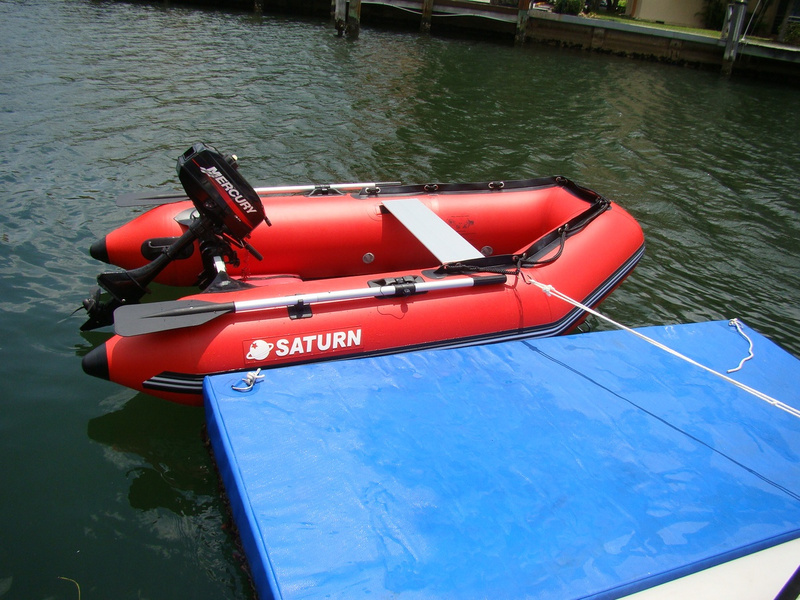 I keep my 10' Zodiac on top of it as it is easy to pull it up and push it off of the dock. It is also very stable to walk on. GREAT PRODUCT!! A few plumbing supplies from local Home Depot, and now I have a great cost effective tethered floating dock. 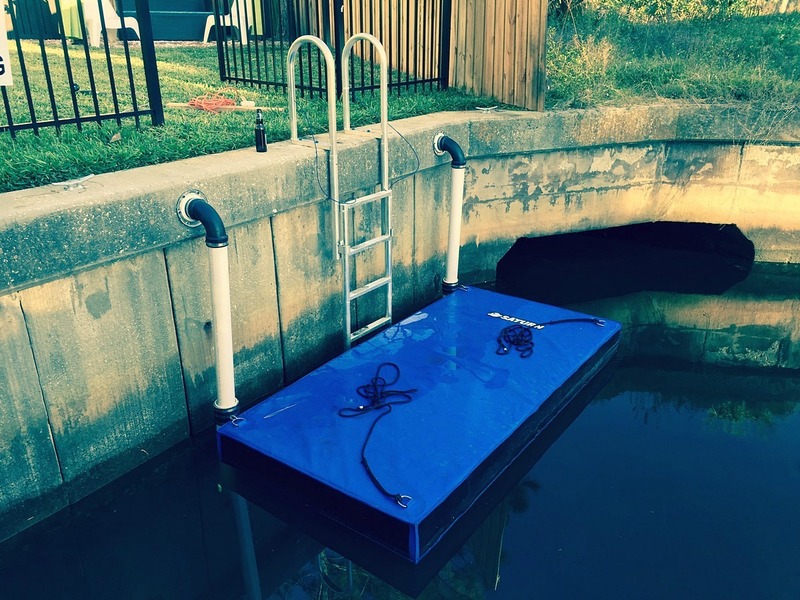 I received and installed your floating dock yesterday. What a great product. It makes using my dinghy much easier. 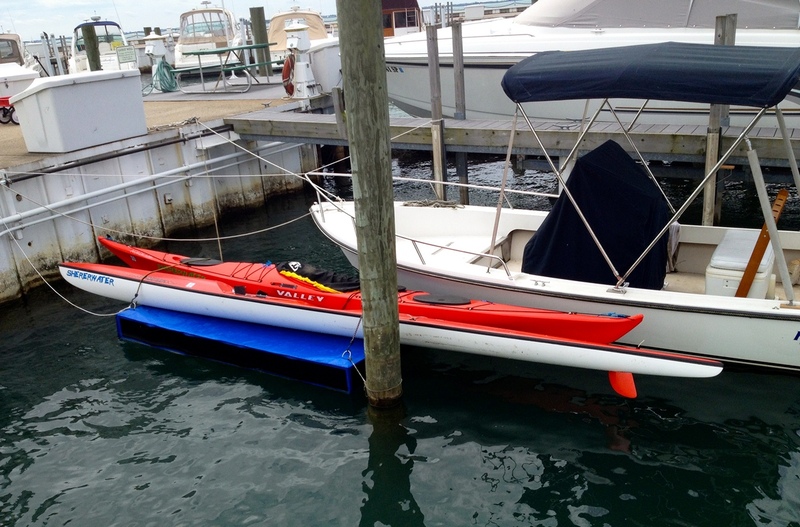 I've attached a picture of the float holding my dinghy next to my sailboat. Your dock has just hit the spot. Its the right size, weight and it will not damage the boats in the well, what was a major concern. Oh, and prize is right! 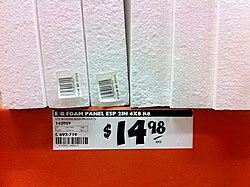 I did buy the sturdier, more expensive (green) foam boards, even though only the top one needed to be of heavier duty. Its also very attractive. We have received many compliments. 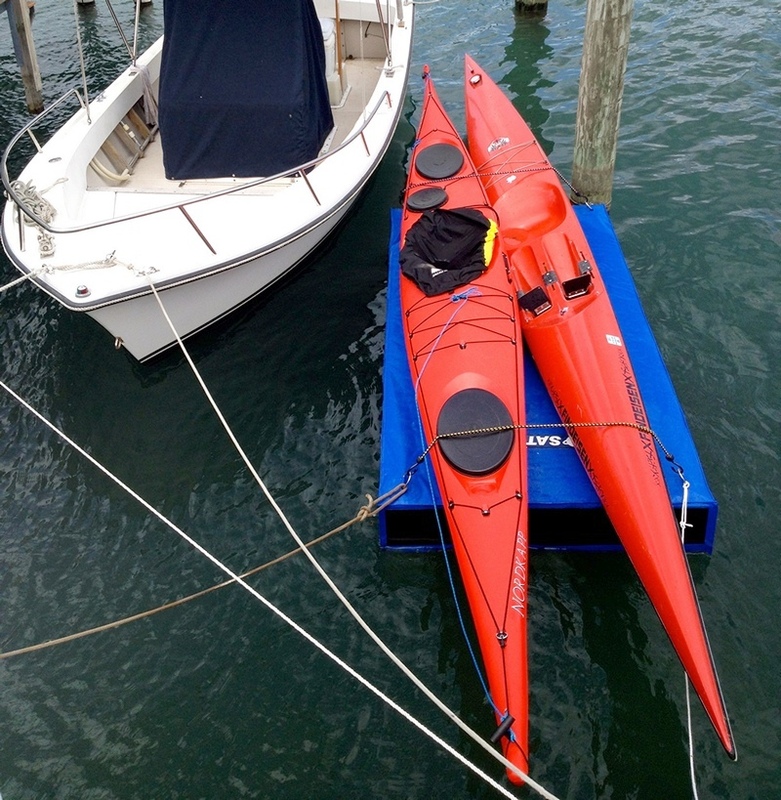 Attached you will see both of my kayaks on your dock! They are easy to load and very easy to climb onto!